Workers collecting garbage from a beach in Santo Domingo, the capital of the Dominican Republic, this month. Come for the beaches, say tourism ads for the Dominican Republic. But it has some beaches you might want to skip right now. [post_ads]Those piles, most notably the “Great Pacific Garbage Patch,” are usually far from human settlements, to say nothing of resort destinations. Images have shown teams using pikes, shovels and excavators to lift the garbage, only to be met with new waves carrying even more. 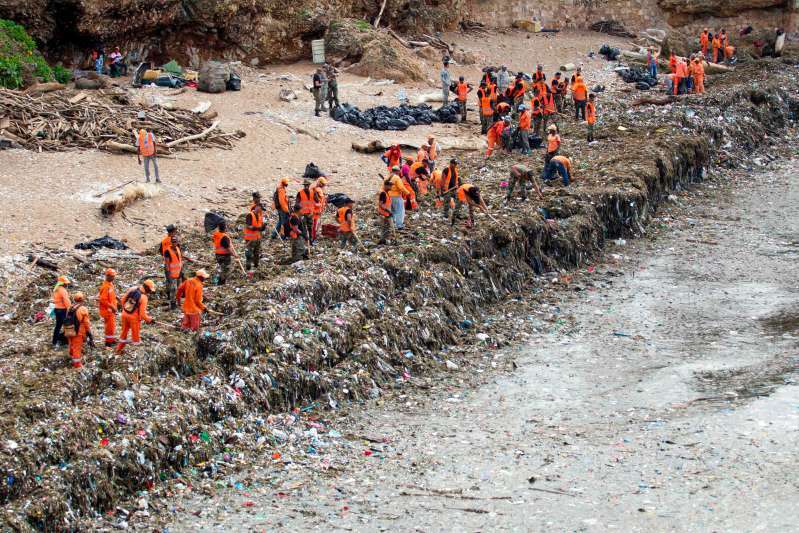 Sixty tons of garbage have been collected on the beach since last week, Reuters reported. The haul included plastic bottles and Styrofoam takeout boxes, Parley for the Oceans, an organization that works to reduce plastic waste in the world’s oceans, said in a statement. The images are shocking, but perhaps not for people who live in the Dominican Republic. “It happens pretty much all the time if there is a strong rainfall or a storm,” said Cyrill Gutsch, the founder of Parley for the Oceans, in a telephone interview. What is happening in the Dominican is only a small symptom of the larger global problem, Mr. Gutsch said. Plastic dumped in and near rivers washes into the ocean, and only a small percentage bounces back onto shore. The bigger portion makes it onto the high seas. Mr. Gutsch said that recycling was a short-term solution and amounted to only a bandage. Parley for the Oceans advocates phasing out single-use plastic altogether. The plastic waste washing onto Montesinos beach comes from the Ozama River, which flows into the Caribbean nearby, one of those in charge of the cleanup, Gen. Rafael Antonio Carrasco, told Reuters. “What you don’t see in the picture is all the toxic stuff,” Mr. Gutsch said, adding that once it is out in the open, plastic breaks down and releases chemicals that are impossible to capture. Wildlife trapped in the debris and humans affected by the toxic particles in the waves are all at risk, local environmentalists said.